Remember Tom Sizemore? He was in True Romance, Natural Born Killers, Heat, and Saving Private Ryan. In Lucifer, he pops up as the head of a biker gang (“the Diablos,” haaah) who knows more than he lets on about the whereabouts of a stolen shipping container that conceals something very precious to Lucifer. 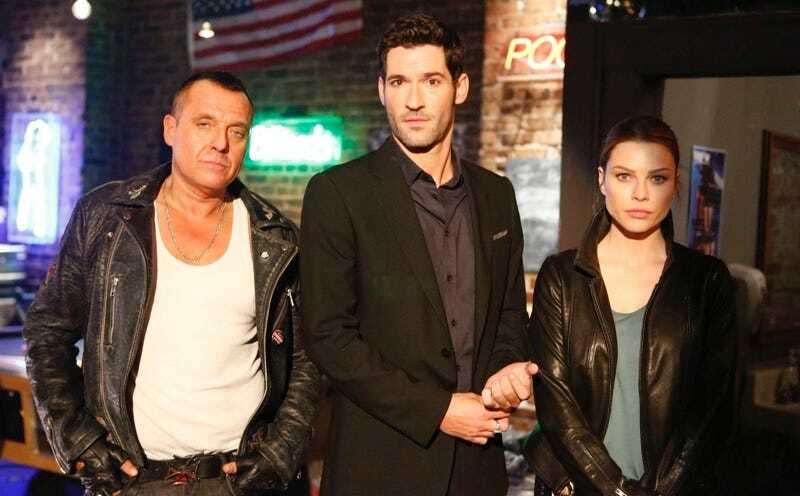 The casting of Sizemore in “Favorite Son” is notable because Lucifer hasn’t had many high-profile guest stars thus far (I’m still waiting to meet Chloe’s “queen of cheesy 1980s scifi” mother). It’s also appropriate, given Lucifer’s themes of sin and redemption, considering Sizemore’s well-publicized (including a tell-all autobiography) past battles with addiction since his 1990s career peak. Spoiler alert: Though it’s good to see him back in action, making tongue-in-cheek fun of his tough-guy image, don’t get too attached to Sizemore’s character. Alas.